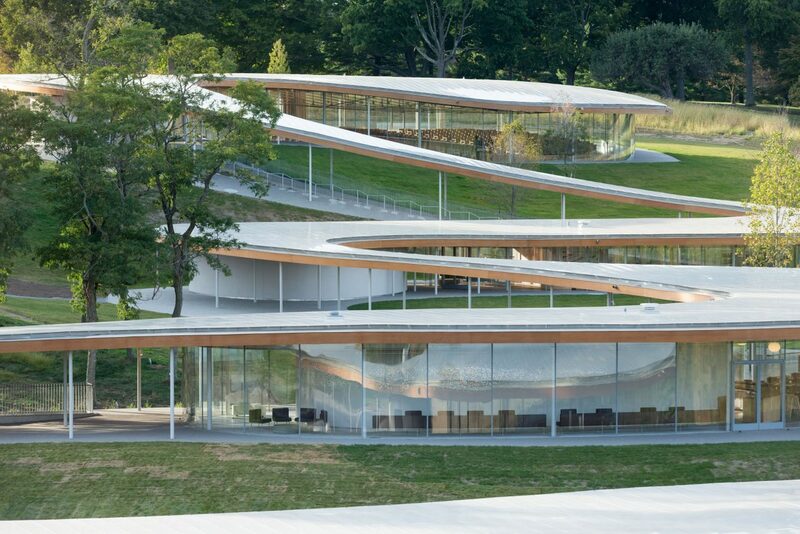 Nestled in the hilly landscape of Grace Farms in New Canaan, the structure known as the River Building starts on high ground like a river and flows in a series of curves down the long, gently sloping incline with approximately 42 feet of elevation change. 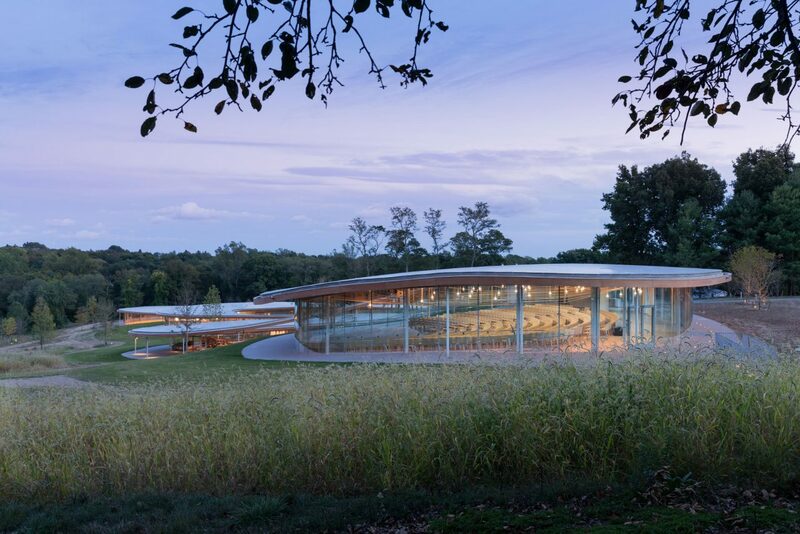 The building of glass, concrete, steel, and wood is in essence a single long roof, which seems to float above the surface of the ground as it twists and turns across the landscape. 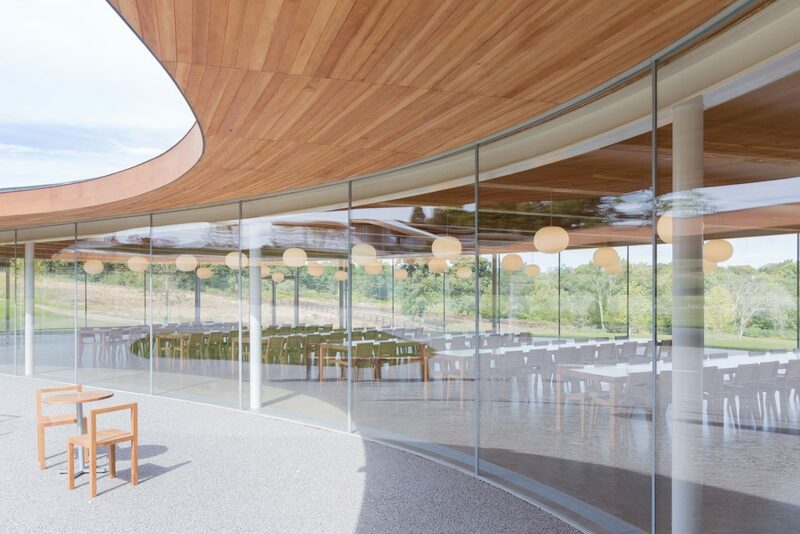 The paths, inner courtyards and glazed areas beneath the roof are remarkably transparent and invite visitors to experience the sweeping expanse of natural beauty. Mullion-less structural glazing is used to achieve maximum transparency in the spaces. 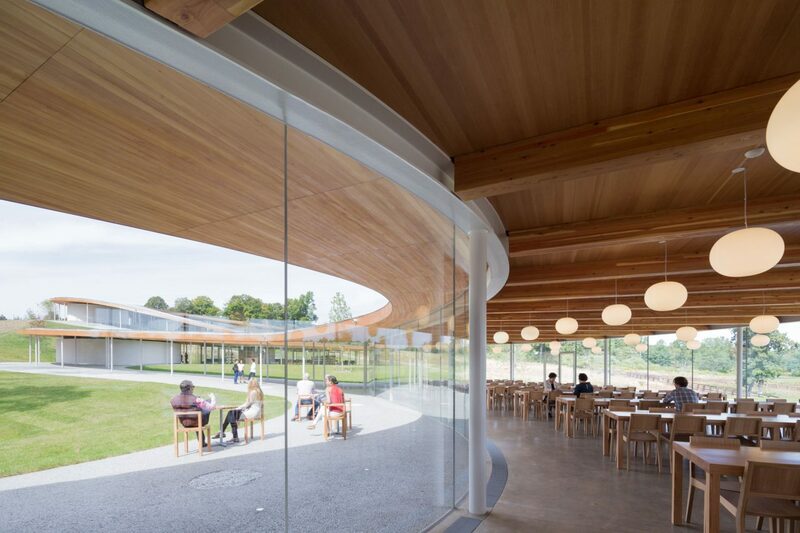 Huge curved and self-supporting insulated glass units with invisible mechanical fastening systems are used to produce a seamless appearance. The River Building blends in naturally with the 80 hectares of surrounding countryside and has been honored with a number of design and innovation awards. The building aspires to LEED® Gold certification.